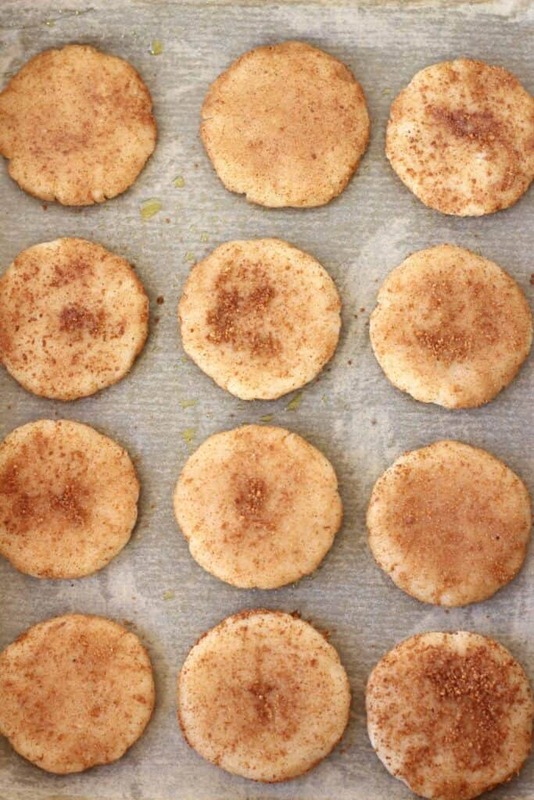 These Gluten-Free Vegan Snickerdoodles are soft and chewy, perfectly sweet and so fragrant. An easy treat to make for the festive season! 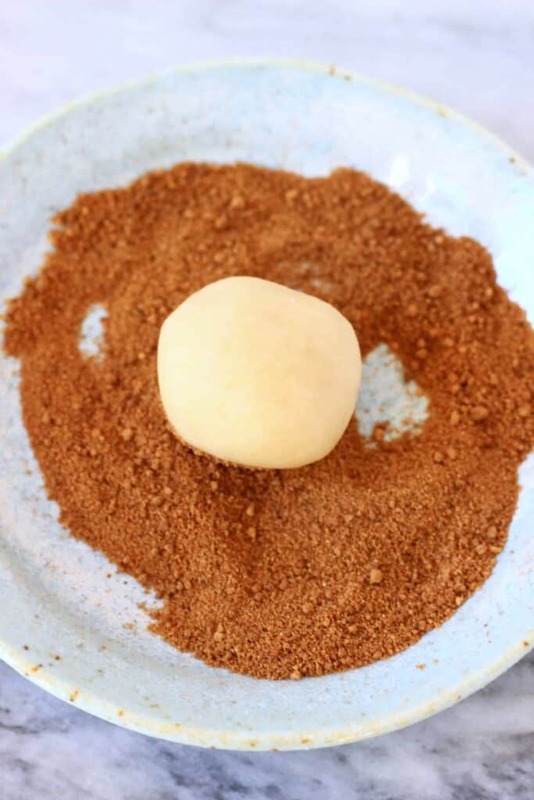 Place the cinnamon and coconut sugar on a plate and mix well. Take a small amount of the cookie dough and roll it into a round ball. 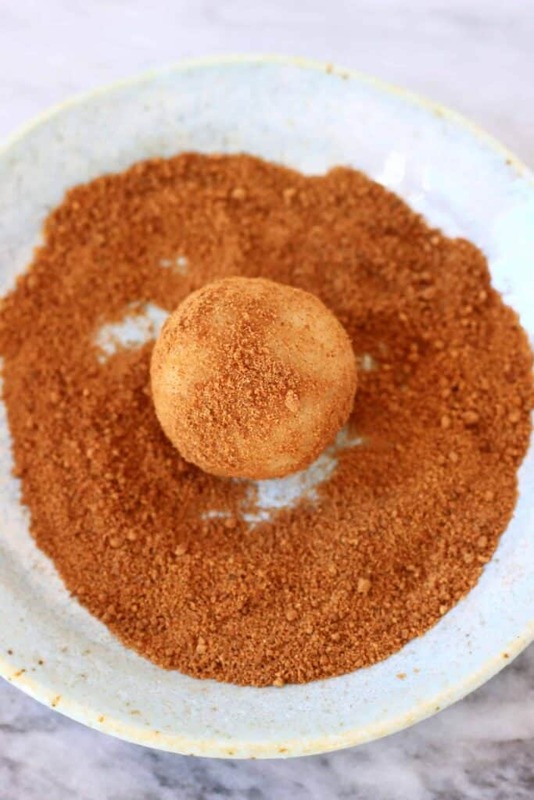 Roll the ball of cookie dough in the cinnamon and sugar mixture until completely coated. Use your hands to flatten the ball so that you get a round patty. 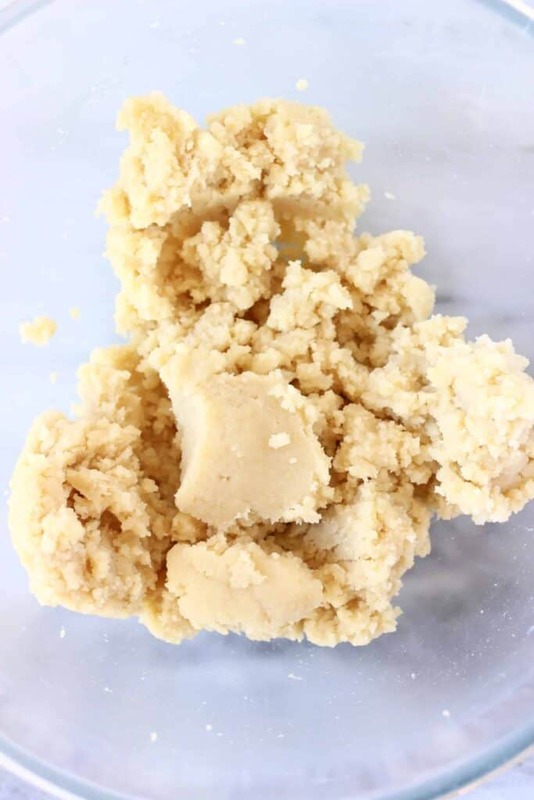 Repeat until the rest of the mixture is used up – you should be able to make 15 cookies. 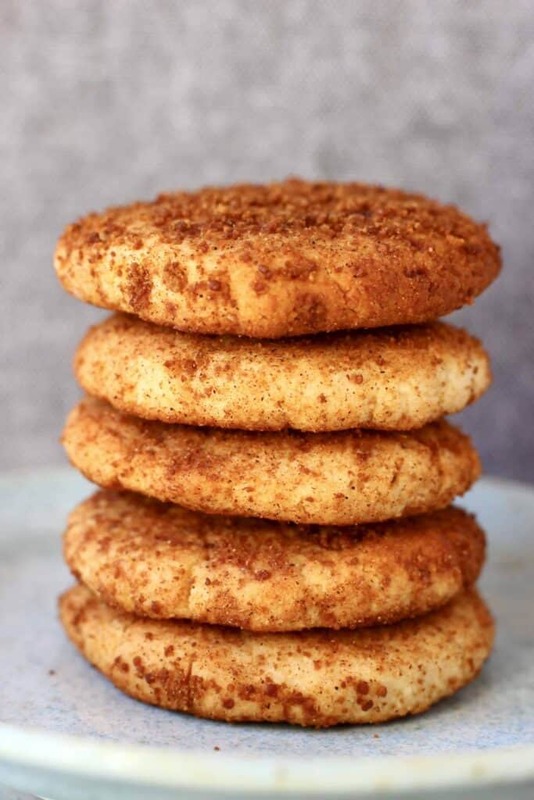 How long do these Snickerdoodles keep for? These cookies keep in an airtight container for a few days. 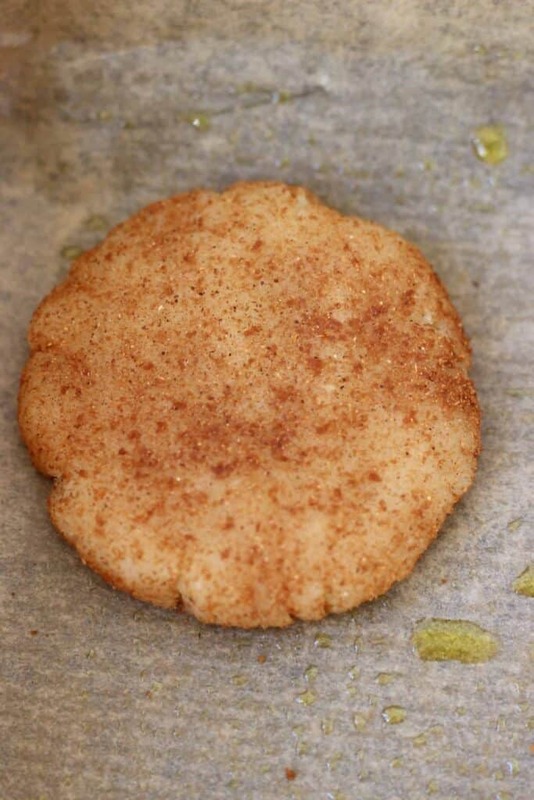 you can substitute the coconut sugar with brown sugar if you don’t need it to be refined sugar free. 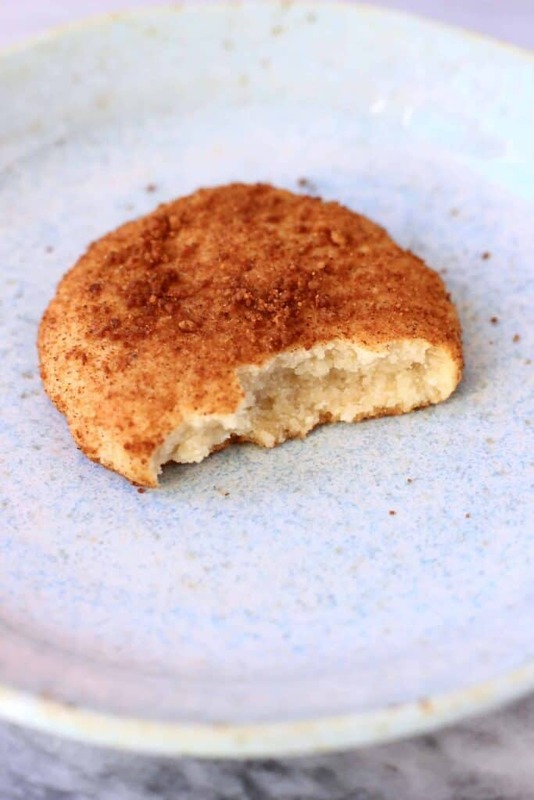 These Gluten-Free Vegan Snickerdoodles are soft and chewy, perfectly sweet and so fragrant. I love your recipes because you usually state that regular oil can be used instead of coconut oil. In this case, can I substitute melted cocao butter for the coconut oil in this recipe, and in the same amount? My daughter has a terrible aversion to coconut oil. Thank you. Yes cocoa butter should be a good substitute for coconut oil in this recipe. Alternatively, you can use the same amount of almond butter, peanut butter or cashew butter I think! Or you could just use vegetable oil or olive oil. Would love to hear how you get on. 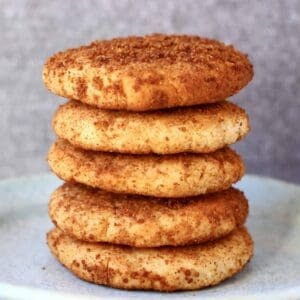 I just tasted the cooled Snickerdoodles. They came out very tasty. 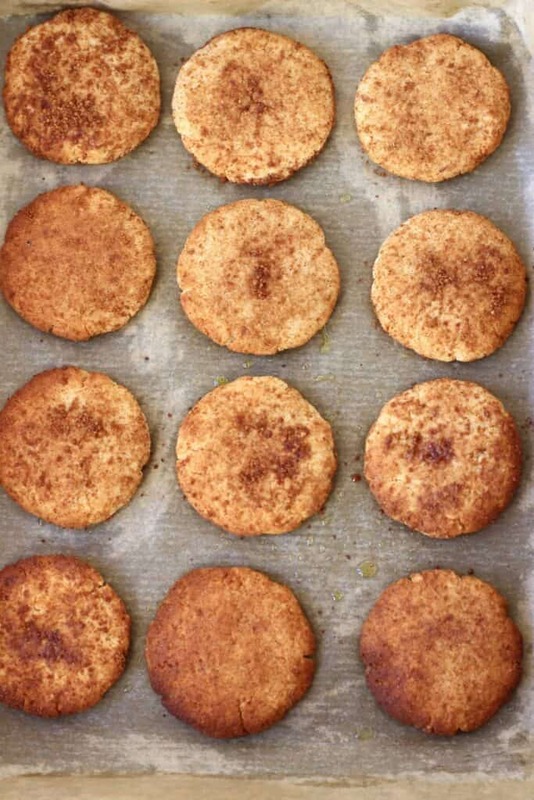 I used almond flour and whole spelt flour (150 grams each) but they were to wet to handle so I added a little bit of almond flour, but still couldn’t handle them. I rolled them with 2 tablespoons and that seemed to work, more or less. I also used 1 tablespoon less of maple syrup. I also didn’t have to flatten them as they were already at the correct shape. Do you have any idea what went wrong that made them to soft to handle? I got 21 cookies. Hi, thank you so much for your feedback, I’m glad they turned out well in the end but sorry to hear you had a problem with the mixture being too wet. What did you use as the coconut oil substitute? Thank you for the substitutions for the oil. Coconut oil is the highest of any in saturated fat. I would consider using it on my face, but that’s all. My g’daughter is gluten intolerant so she gets very few nice cookies. She will be thrilled! Aw that’s great, thank you so much! 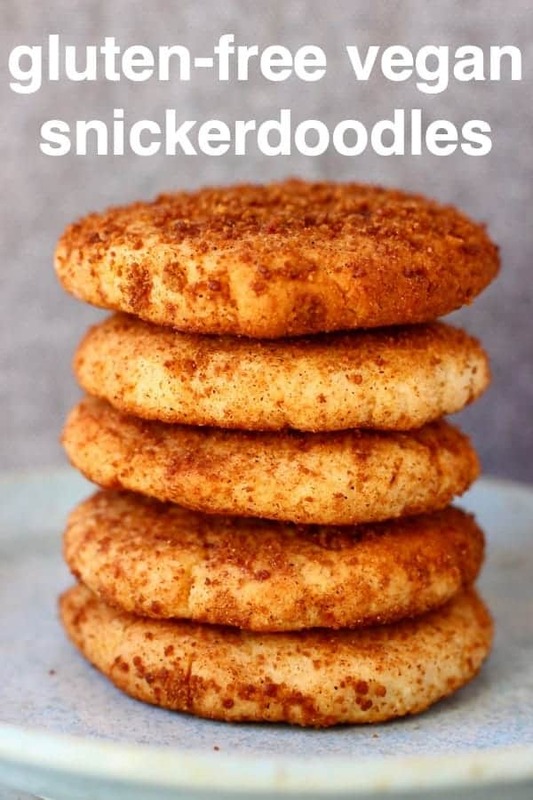 I love Snickerdoodles! Look soooo delicious! My daughter and granddaughter are vegan gluten free, so I’m always on the hunt for treats for them. These turned out so good. I made tiny ones to put in plastic eggs for an Easter egg hunt. This will be a real treat for her. Thank you so much, so glad you liked them. What a cute idea to include these in an Easter egg hunt!